To find out more information and to continue Going Green, please do not hesitate to contact us at 877.788.8100 Monday through Friday from 8:30 am – 5:00 pm, Saturday from 8:30 am – 1:30 pm or email us at info@allparty.com at any time. All Occasions Party Rental is committed to ecologically sound business practices. The nature of renting is the essence of sustainability. Water usage is controlled and reduced by monitoring and metering each washing machine to eliminate waste. Working with Ecolab, our machines and water are periodically tested to assure our compliance with environmental regulations. The truck fleet consists of delivery vehicles in three sizes. By using the most efficient truck, All Occasions is able to conserve fuel. Parts from broken equipment are recycled to make repairs rather than throwing the parts away. Cardboard from new inventory is recycled. Sub-flooring products are protected and re-used to avoid replacing. Wood is purchased from sustainable vendors. 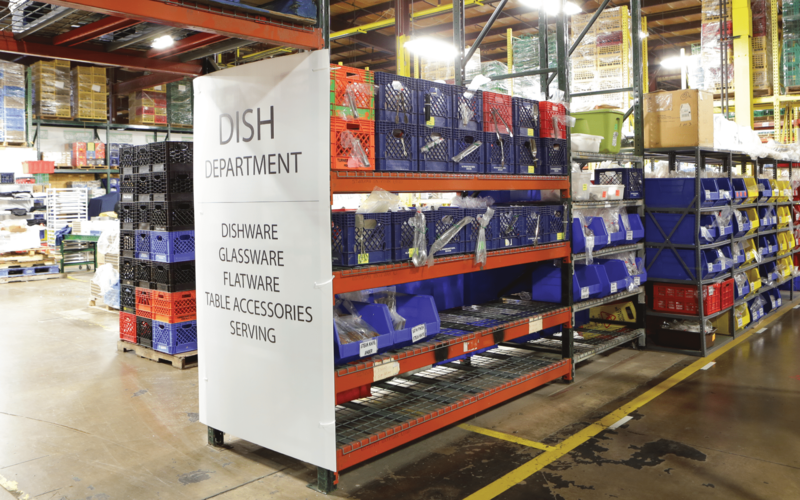 Dish washing and laundry departments use environmentally safe detergents provided by Ecolab. These products are designed to help increase safety, lower the use of water and energy and reduce the chemicals and waste released to the environment. Cloth linen bags are used for linen returns. 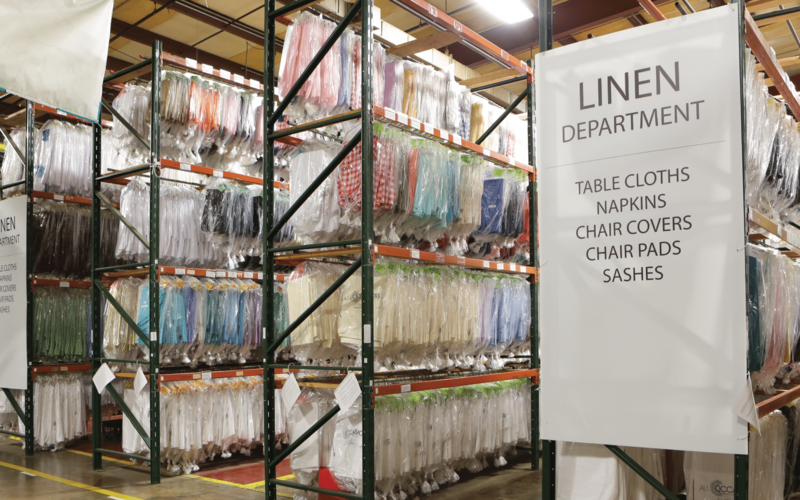 Damaged linens are recycled into chair covers and/or napkins or donated to charitable organizations. Light fixtures in the 10,000-square foot office facility were replaced with 100 high efficient four-tube fluorescent fixtures, providing an electric usage savings of 20% per year. Velon used on tent legs is recycled. Tent tops are constructed of a block-out material that provides more shade from the sun, resulting in a cooler tent. All Occasions provides both white tent tops and clear tent tops. The selection should be contingent upon the weather. For example, a white top provides shade from the sun to reduce the need for air-conditioning. During the day, a clear top will provide both light and heat. Tent sides are secured to keep either air conditioning or heat from escaping the tent. This maximizes the efficiency of air conditioning or heating requirements. AS A RESULT, THE RENTAL INDUSTRY IS ACTUALLY GREEN. WHILE RENTALS, AS THE ULTIMATE FORM OF “REUSE”, ARE INHERENTLY GOOD FOR THE ENVIRONMENT, ALL OCCASIONS IS COMMITTED TO DOING MORE. By properly maintaining our equipment, vehicles, and facilities and minimizing second trips and wasteful/redundant processes, All Occasions saves vehicle fuel, power, water, chemicals, and natural resources.